	N450m alleged fraud: Belgore seeks court’s permission to attend daughter’s graduation abroad – Royal Times of Nigeria. 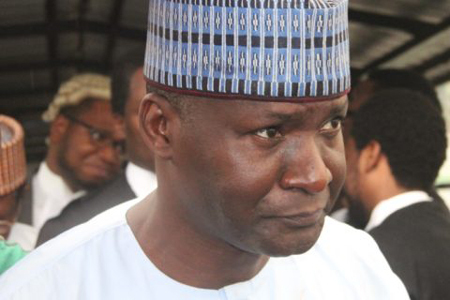 A former governorship aspirant in Kwara State, Mr. Dele Belgore (SAN), who is being tried for an alleged fraud of four hundred and fifty million naira, has urged the court to permit him to attend the graduation of his daughter in the United Kingdom. In an application by his lawyer, Mr. Ebun Shofunde (SAN) on Monday, Belgore urged the court to order the release of his passport to enable him attend the ceremony fixed for July four, 2018. His daughter, he said, will be graduating as a medical doctor from the University of London. The SAN said he also wished to use the opportunity to visit his doctor in the UK for medical check-up in the last week of August once the doctors resume from their annual vacation. The prosecuting counsel for the EFCC, Mr. Rotimi Oyedepo, however, opposed the application.